It’s been said many times: James Harden gets away with the extra step, stopping his dribble, the odd flop, basically anything to gives him an edge within the halfcourt line. The old heads on the NBA sidelines don’t think Harden is coachable, in the sense that to maximize his efficiency, the whole offense needs to be centered around him, or the “kick out” option. While there’s a lot of sense in all those detractive points, James Harden is still making his NBA opponents look silly on a regular basis. For one thing, NBA analysts need to stop basing player expectations around their ability to single-handedly defeat the Golden States Warriors. Just last night, Harden and his Rockets hosted the San Antonio Spurs at the Toyota Center. In the process of competing real hard against a well-coached Western Conference opponent, Harden picked up 61 of his team’s 111 points to match his career high total. When asked to comment on what he hopes to achieve next, he did what anyone in his position is expected to do: defer to his teammates. 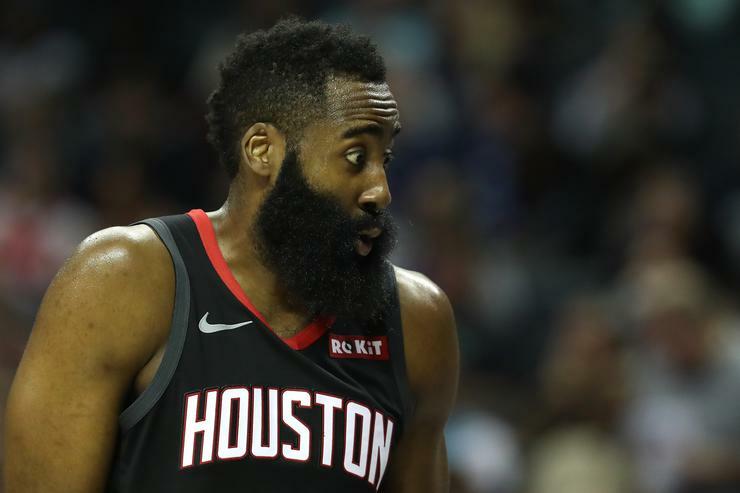 In keeping his Houston Rockets relatively high in the NBA standings, James Harden has given himself an absolute shot at a second consecutive MVP title. His team isn’t unflappable; they do and will drop a few more games down the stretch. 8 out of 10 wins is a respectable mark no team in the West can light a candle to, except for the Los Angeles Clippers (9-1), but they’ve all but admitted they’re playing for next year and beyond, not the 2018-2019 NBA title, their current run of form, the balance of luck and cohesiveness.